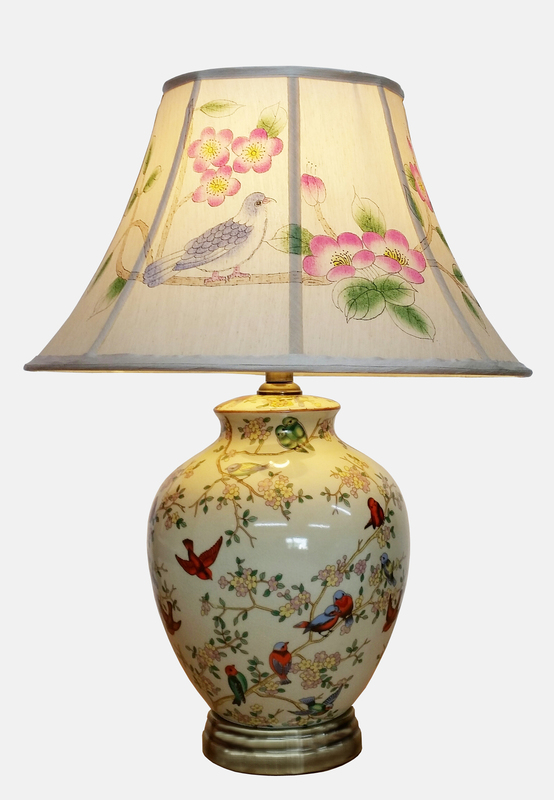 42cm (17 inch) porcelain base with 43cm (17 inch) diameter hand-made shade. 59cm (23 inch) overall height. A “supersize” image of the painted shade version is available.Please click here. A multitude of colourful birds perched on, and flying around branches thick with spring blossom over a creamy crackle-glaze background. 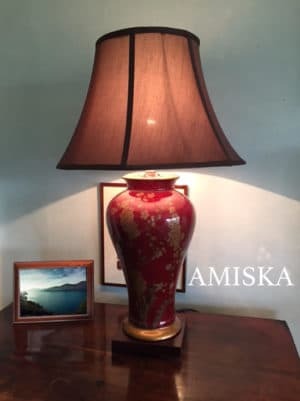 Constructed from a 27cm tall porcelain base mounted on a brushed metal base and carrying a plain shade of fully-lined silver/gold faux silk. 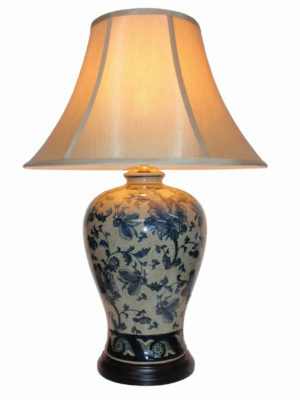 PLEASE NOTE: THE IMAGE DISPLAYS THE LAMP SWITCHED ON.